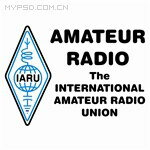 Join asiaradiosale membership to enjoy discount! If the order has not been shipped; please contact DinoDirect asia.radio.sale@gmail.com for order cancellation.You will get your refund within 24 hours. If the order has already been shipped; you may return the item to us postmarked within 30 calendar days of delivery. Before that, please contact our Live Support to inform that. In that case we will refund you the payment excluding actual shipping fees already incurred. If the item is defective, please contact DinoDirect Live Support and send an email to us at asia.radio.sale@gmail.com attached an image or video file clearly showing the defect of the product. And we will give you a response within 24 hours whether we will resend the item or refund the payment to you for compensation. For customization, please consider carefully before ordering.Because we do not accept return and replacement.